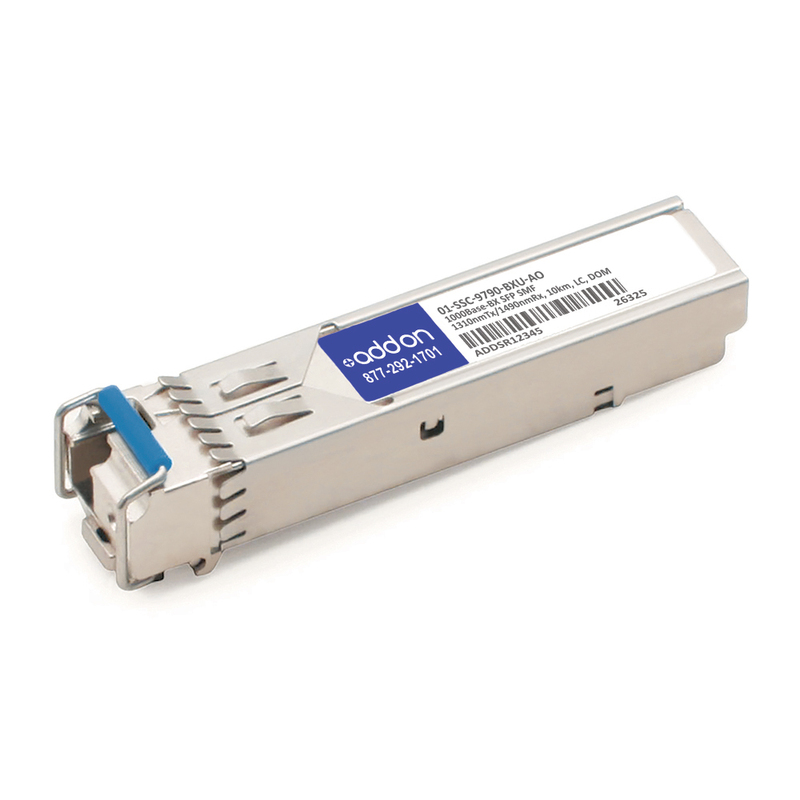 This Sonicwall® compatible SFP transceiver provides 1000Base-BX throughput up to 10km over single-mode fiber (SMF) using a wavelength of 1310nmTx/1490nmRx via an LC connector. This bidirectional unit must be used with another transceiver or network appliance of complimenting wavelengths. It is guaranteed to be 100% compatible with the equivalent Sonicwall® transceiver. This easy to install, hot swappable transceiver has been programmed, uniquely serialized and data-traffic and application tested to ensure that it will initialize and perform identically. Digital optical monitoring (DOM) support is also present to allow access to real-time operating parameters. This transceiver is Trade Agreements Act (TAA) compliant. We stand behind the quality of our products and proudly offer a limited lifetime warranty.